This Lean Manufacturing training course (MXLM101) provides a good introduction for creating a Lean culture in a traditional manufacturing environment. This course begins by exploring the challenges faced by traditional companies and their production methods and compares them to the characteristics of company that practices Lean culture. 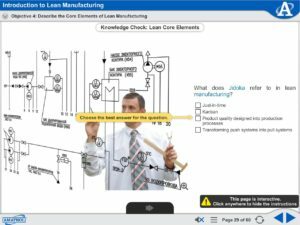 This Lean Manufacturing online course continues by describing the principles at the heart of a Lean system, defines waste as a concept within Lean philosophy, explains what qualifies an activity as value added in a Lean system, and identifies the 7 deadly wastes to a Lean company. The Lean Manufacturing course concludes by explaining the concepts that must be ingrained into a company culture before Lean methods are implemented. Discusses value-added and non-value-added activities, eight deadly wastes, core elements of lean manufacturing, standardization methods, Just-In-Time / JIT production methods, Jidoka methods, characteristics of a lean culture, lean methods of continuous improvement. 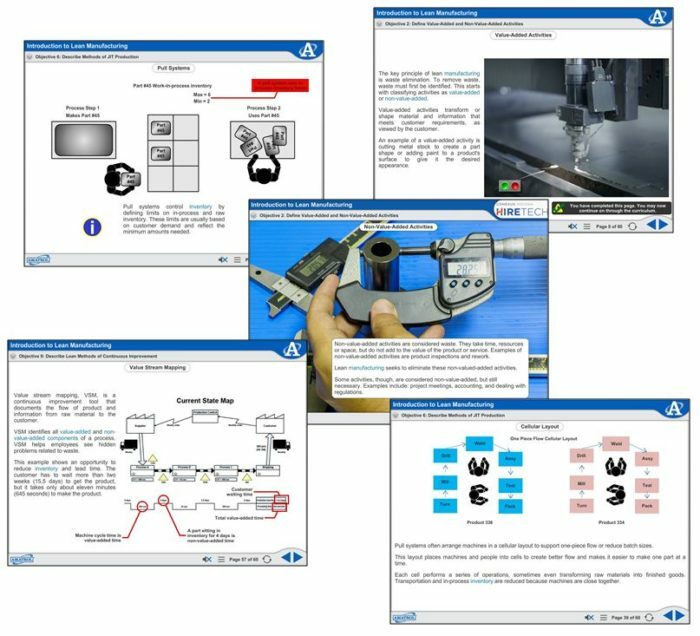 Amatrol’s basic electrical eLearning course curriculum features a highly-interactive multimedia format. Stunning 3D animations, videos, pictures, voiceovers of all text, and interactive quizzes and exercises bring learning to life. Amatrol’s multimedia curriculum contains elements that will appeal to every learning style, keeping learners motivated and engaged.